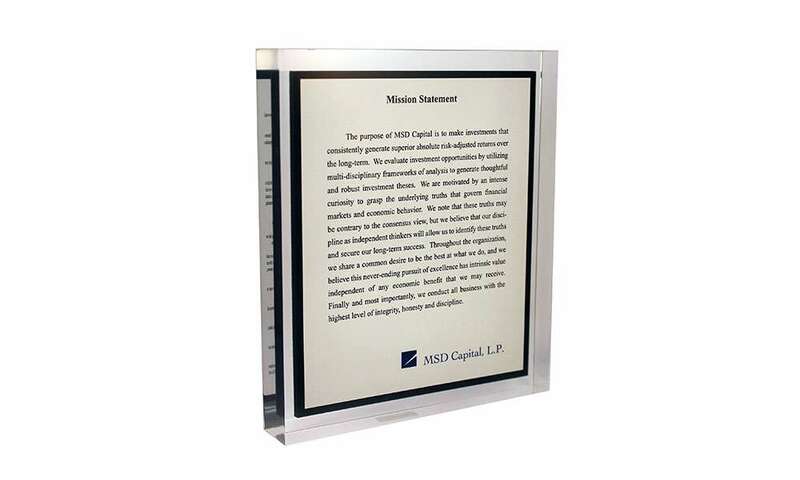 Mission statements can be a strong assertion of your company or organization’s core values and beliefs. 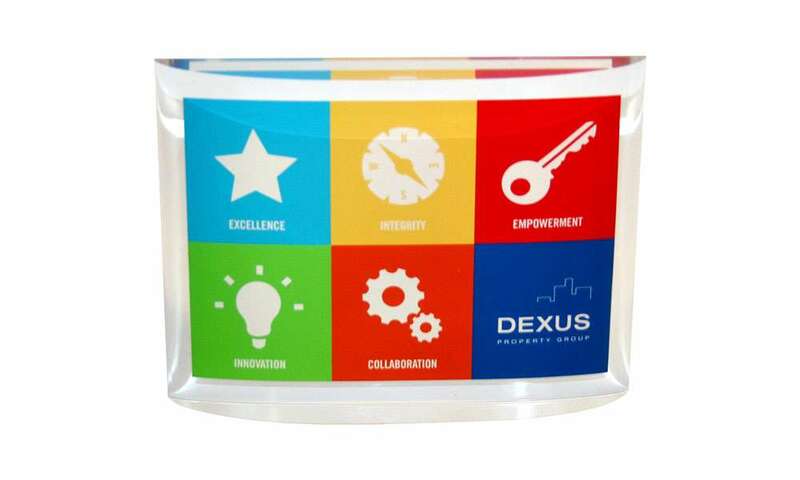 Their effectiveness, however, depends upon their visibility and prominence. 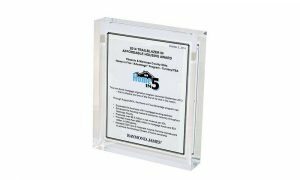 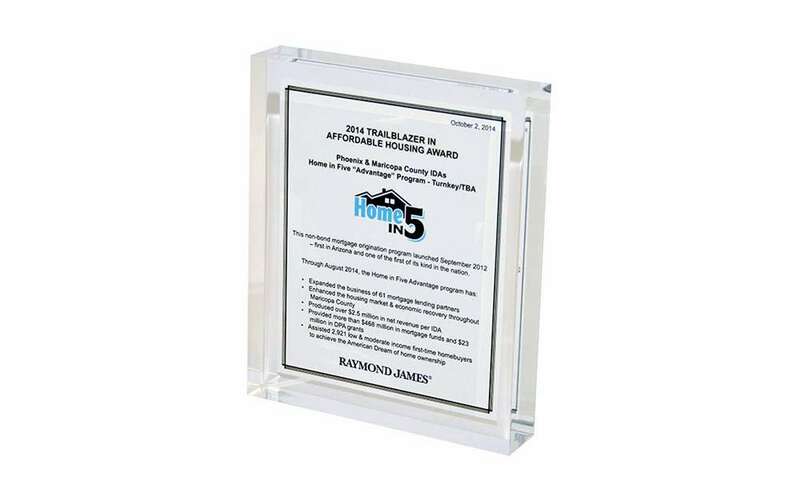 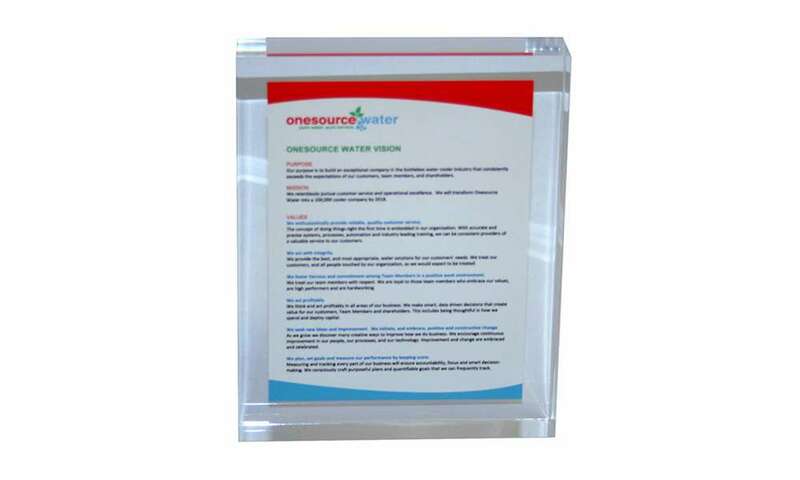 Lucite mission statement displays allow your message to come directly into the employee’s office or workspace. 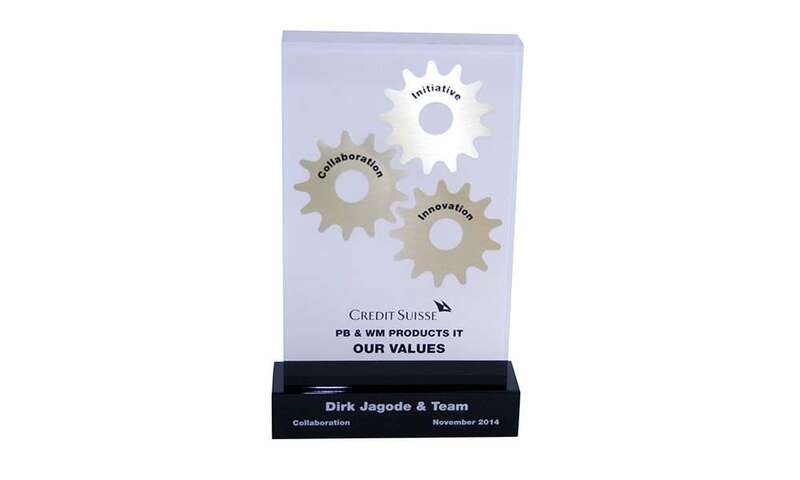 They offer a distinctive, branded means of imparting your chosen message—one that defines the essence of your organization—on a daily basis. 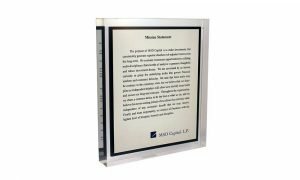 We can provide you with creative, informative, and, most of all, cost-effective designs for keeping this message in front of employees, vendors, clients, and customers. 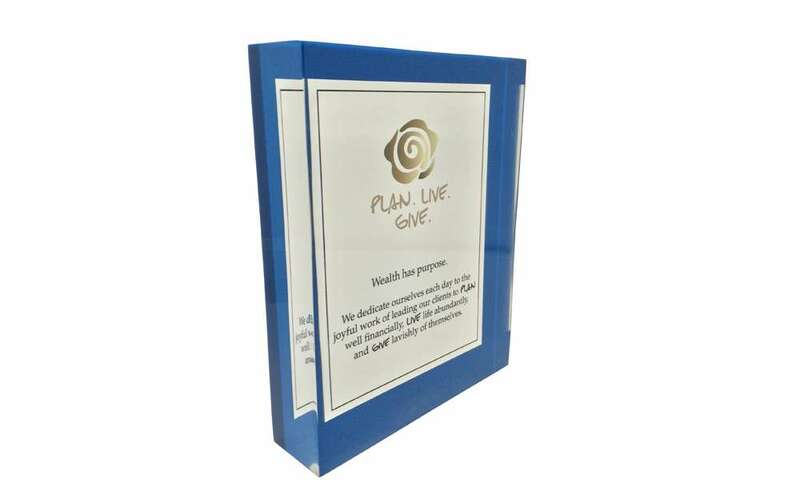 Get started today: we can provide you design ideas—free of charge—for giving your mission the prominence and attention it deserves.